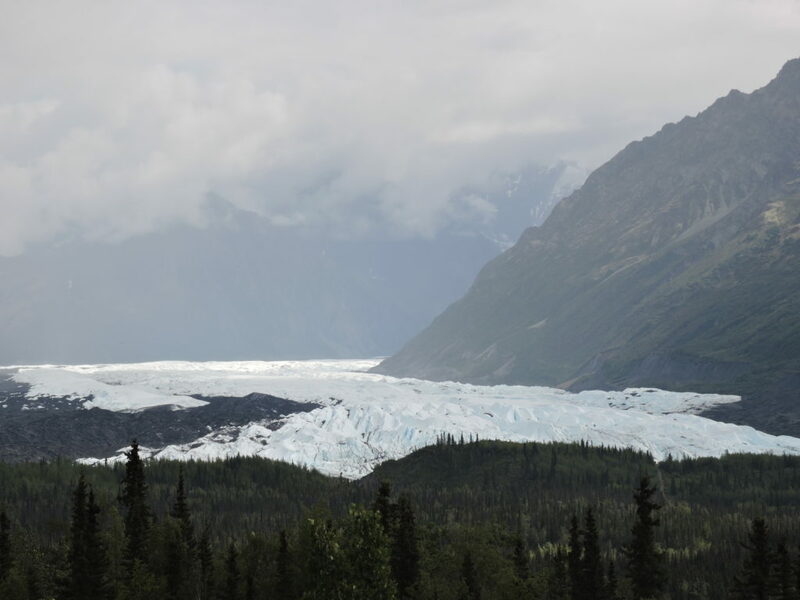 The Matanuska Glacier extends out of the Chugach Mountains 75 miles and is visible from the Glenn Highway in a number of spots from Palmer to Chickaloon. There are turn-outs along the road where you can pull over and see it and take photos. 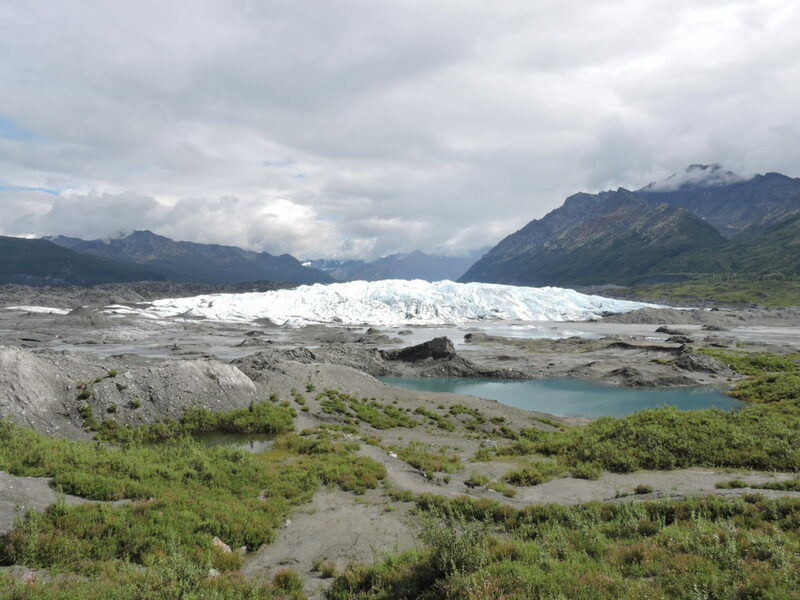 If you want to get a closer view of the Matanuska Glacier there is a road at mile 102 on the Glenn Highway that leads you to Glacier Park. It is a private road and is the only road access there is to the glacier. 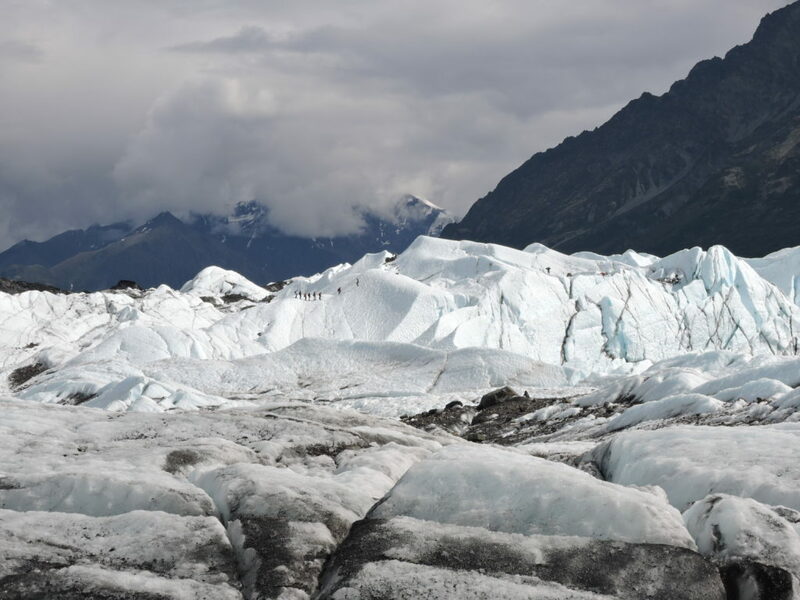 Here at Glacier Park you can pay a $30.00 fee for a day pass to visit the glacier in the summertime. 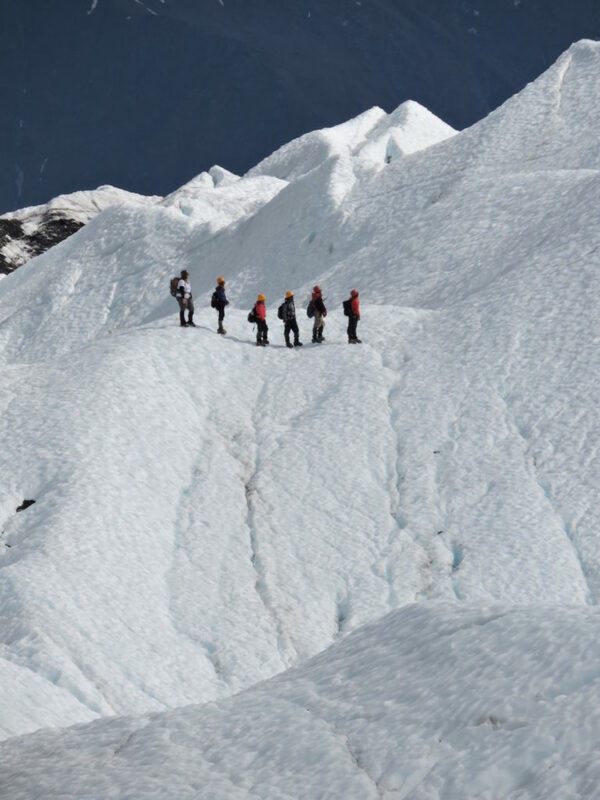 This is a great opportunity to get up close and personal to a glacier pretty easily. 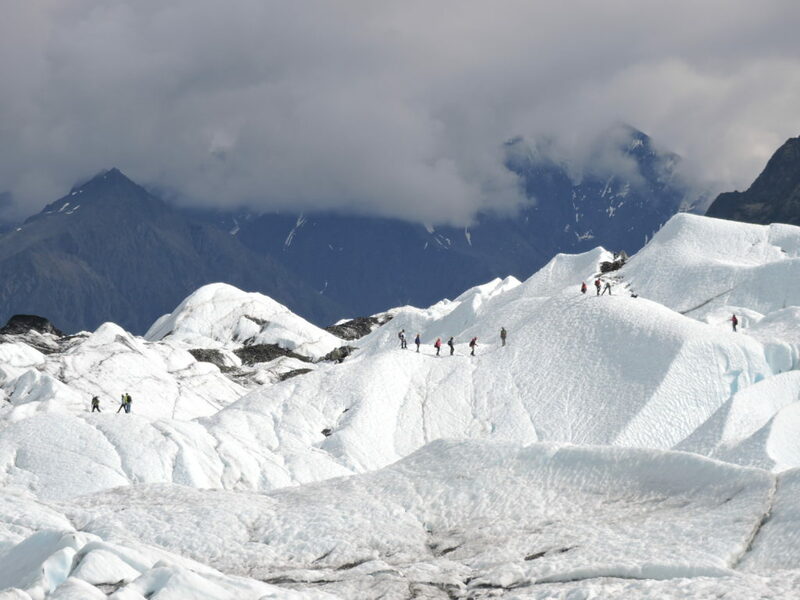 Once you pay the fee there is a 15 minute walk to get to the glacier and actually walk on it. They will allow you to explore on your own and at your own risk if you want to. If you would rather have a guided tour those are available every day for $100.00 per person. In the wintertime the guided tours are also available but they do not allow you passes to go on your own. 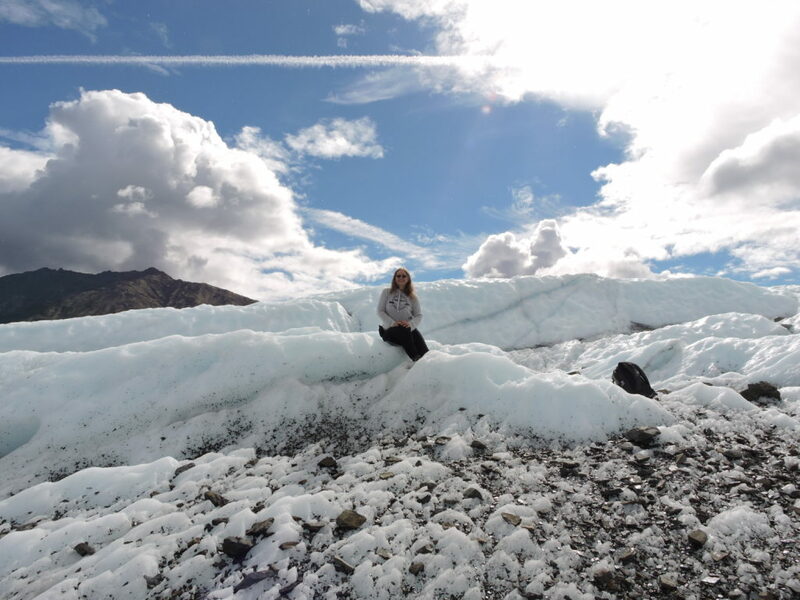 I visited the glacier in the summer of 2016 and was amazed at it's beauty. It is a bit scary walking on the ice and especially crossing crevasses in the ice and I did bring along my winter ice cleats which made me more comfortable. I walked around on my own without a guide. Many people go and try their hand at ice climbing. I'm not that adventurous. I didn't go very far. Still it was an awesome experience and I highly recommend it. If you want to find out more call the Glacier Park at 888-253-4480 to get more information.